Lake Point Custom Machine & Fabrication is the solution for all your Steel Fabrication needs. We strive to give the best possible value and to enable successful projects. We are located in Lake Point Utah and since 2003 local businesses, industries, farmers, owners, architects, engineers, general contractors and specialty contractors have called on Lake Point Fab (a division of McCown Technology Corporation) for structural, custom and pre-assembled steel fabrication services. 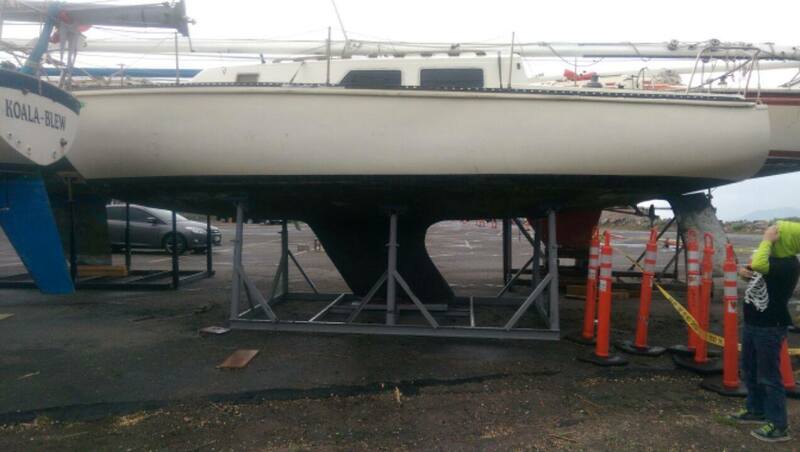 Whether it is steel fabrication for custom sail boat supports (seen below) to serve while the Great Salt Lake marina was dredged, or a decorative plasma cut sign, steel fabrication is a specialty. As is aluminum fabrication and welding. Actually any common metal can be used for most projects. Steel is the most recycled material on earth. In addition to the carbon footprint and energy production cost reductions associated with steel, steel production conserves our most valuable resource: water. Lastly steel does not need to be dumped into a landfill, but rather can be recycled and reused for the future.